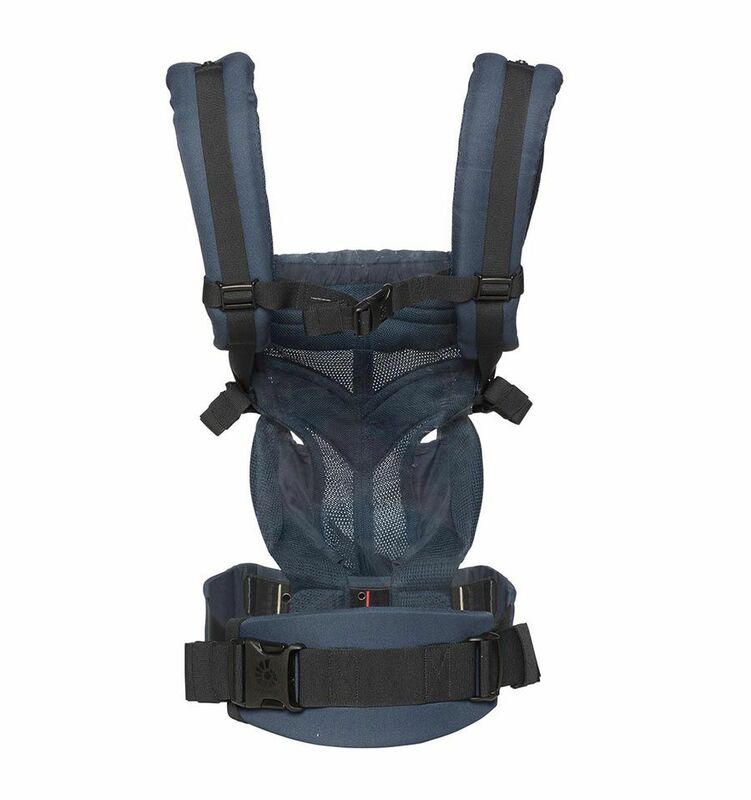 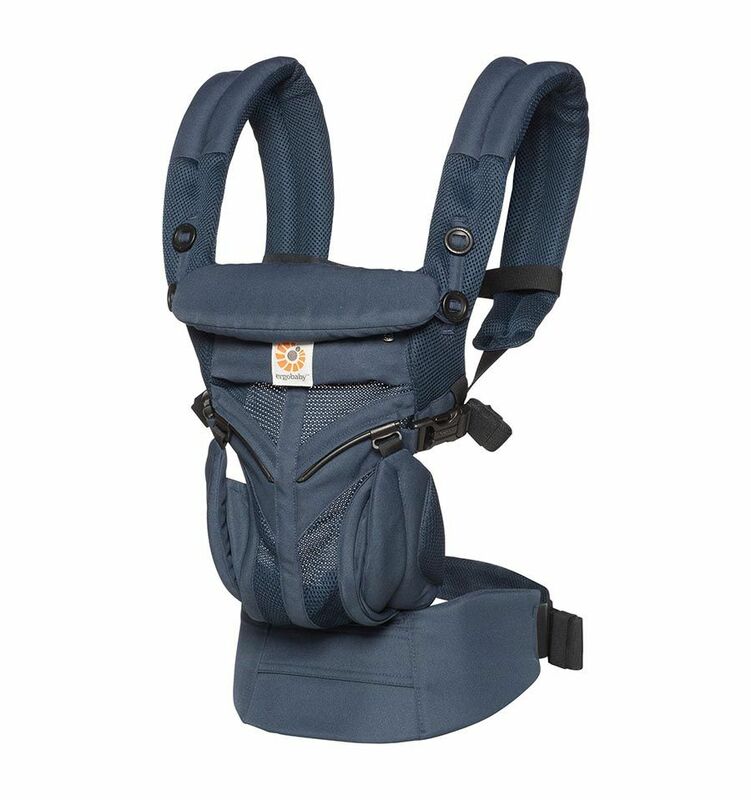 Ergobaby Omni 360 Air Mesh Carrier Midnight Blue is a mix between the Adapt Cool Air and 360 carrier. 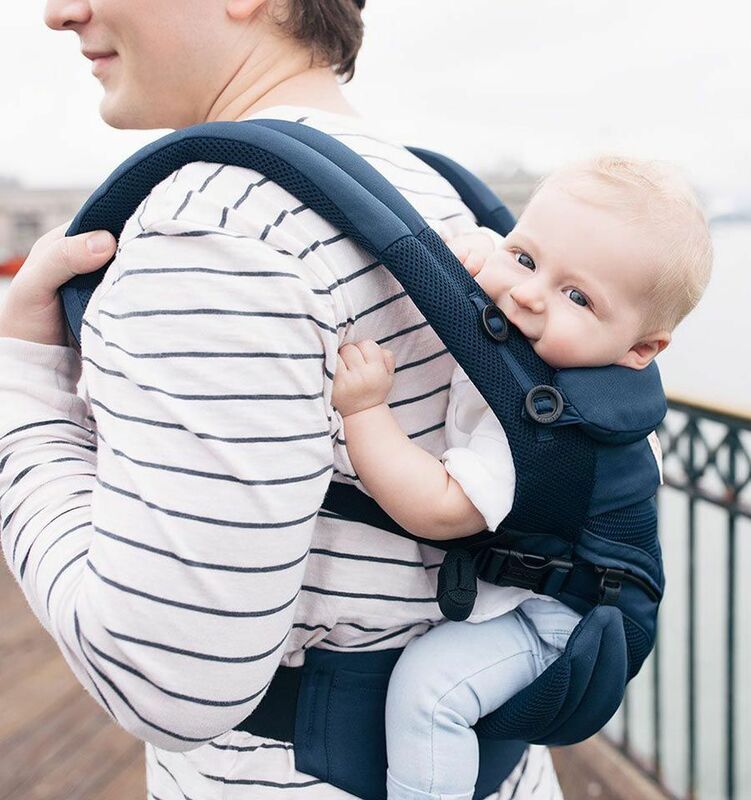 It has features like four carrying positions and lumbar support. 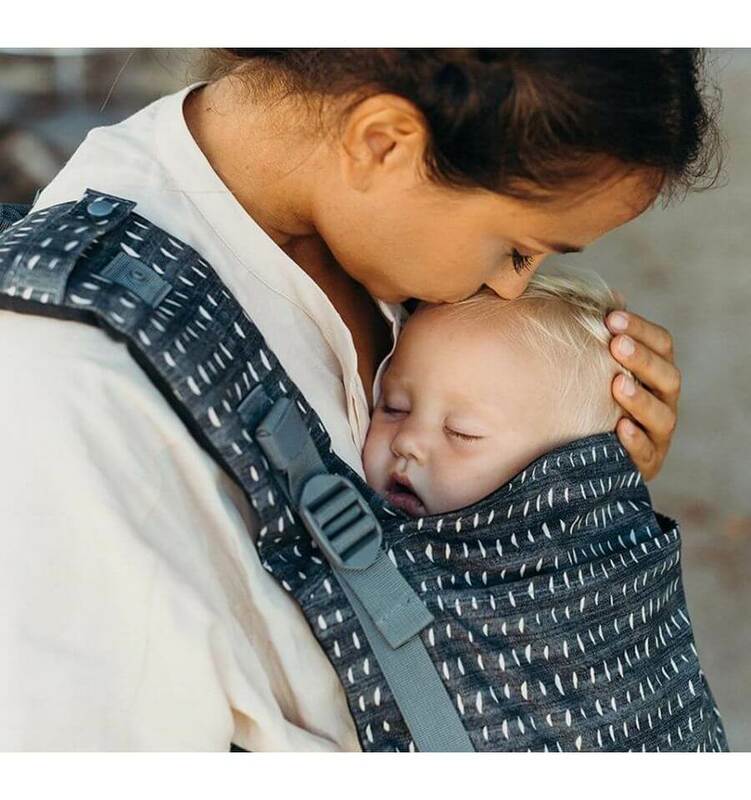 There is no need for an infant insert for newborns. 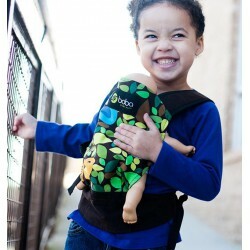 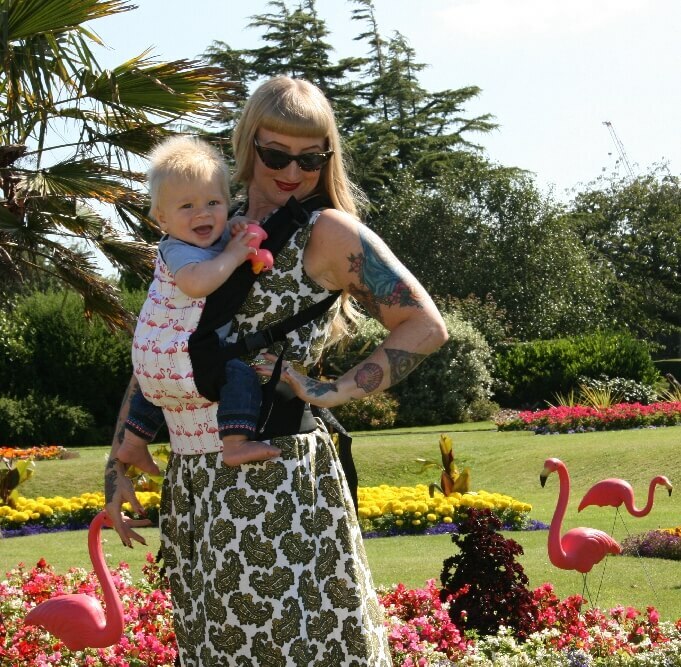 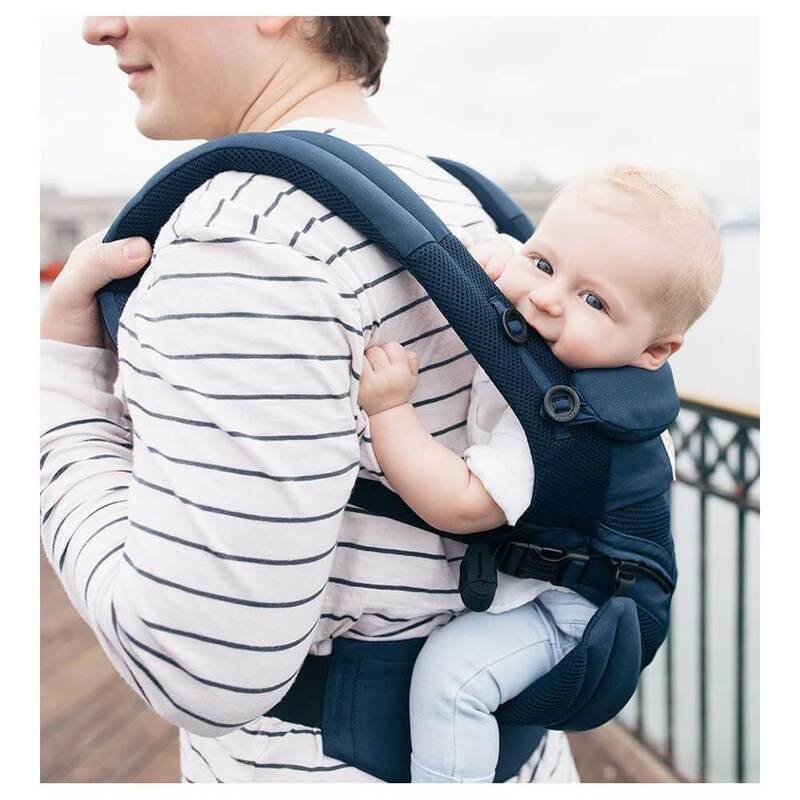 All in one a stylish baby carrier which grows with your baby! 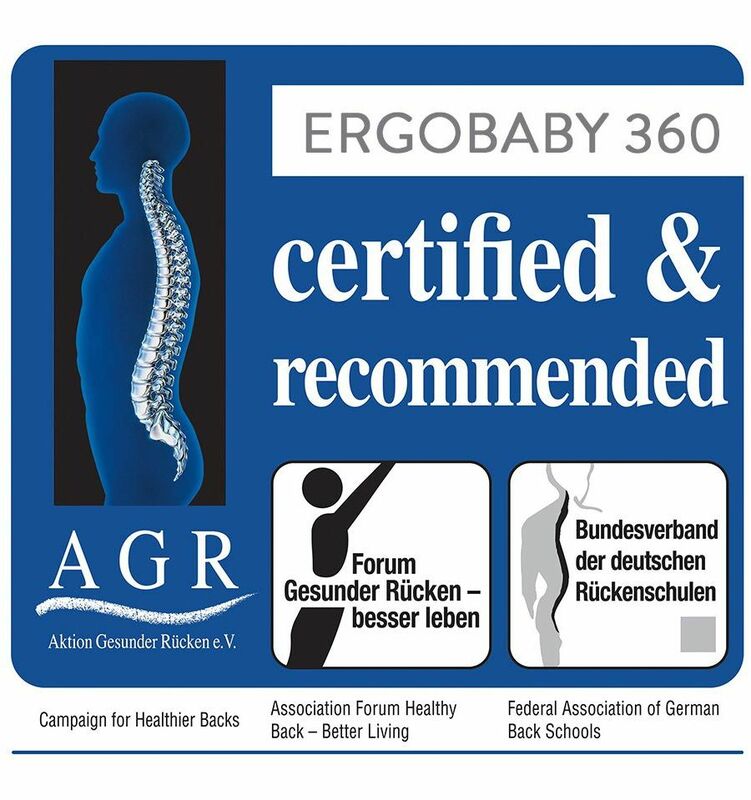 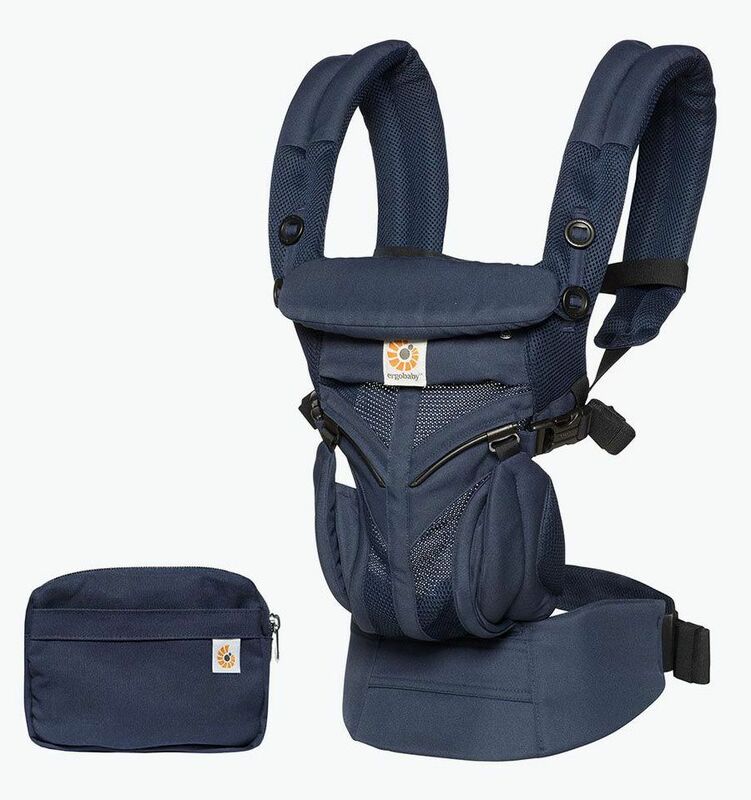 The Ergobaby Omni 360 Air Mesh Carrier Midnight Blue has four comfortable and ergonomic positions to carry your baby: on your front facing inward and forward, on your back and hip. 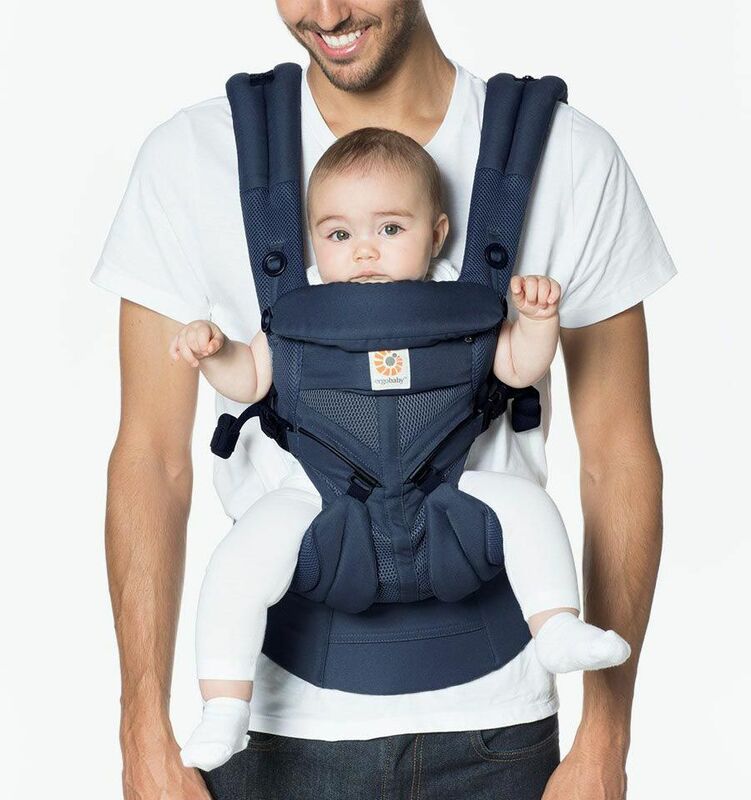 All positions are depending on the baby’s age. 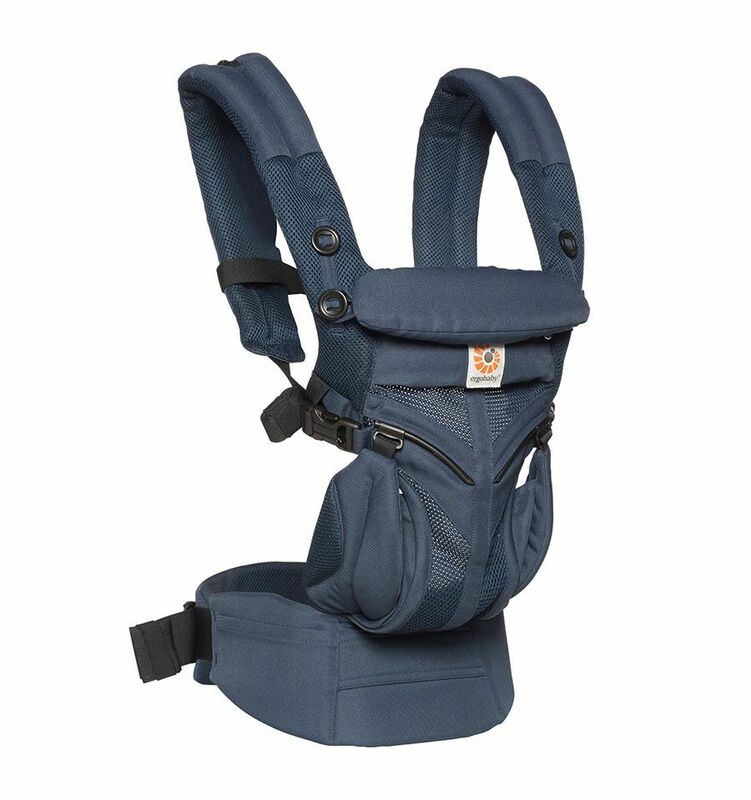 The Ergobaby Omni 360 Air Mesh Carrier Midnight Blue features an adjustable back panel to provide extra height and neck support for your baby with a stowable hood to support your baby’s head while sleeping. 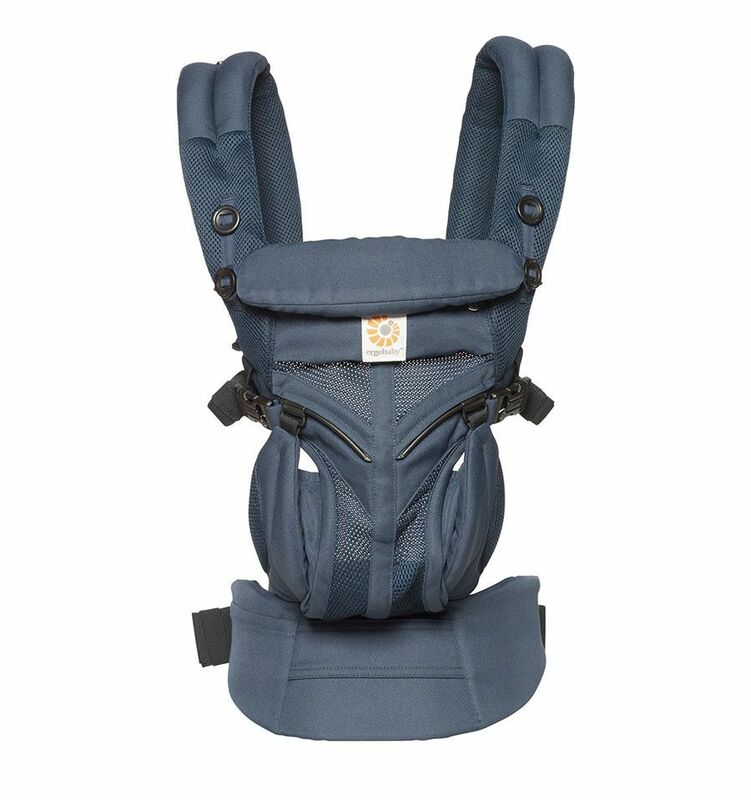 In addition, it protects from sun and offers the mother privacy while nursing.